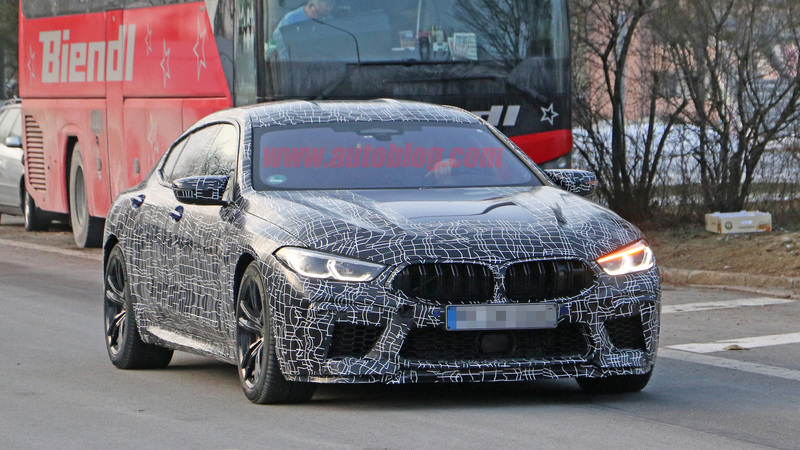 Fans of high horsepower German cars, line up here: The four-door BMW M8 Gran Coupe is coming, and here's our first look at it in spy photos. 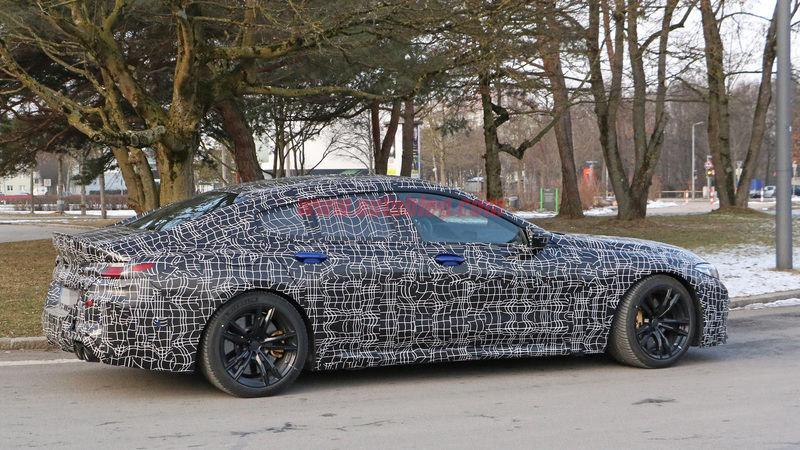 We've seen the 8 Series Gran Coupe in spy shots before, but the M version looks far meaner. 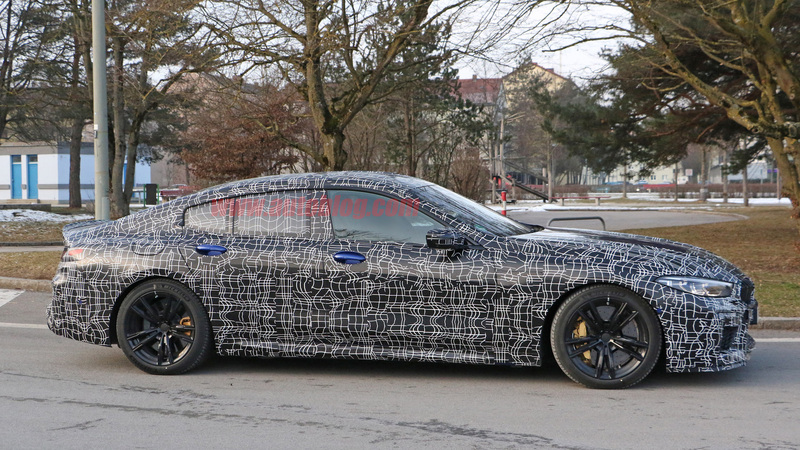 Check out the bigger wheels shrouding much larger brakes than what we saw on the normal 8 Series Gran Coupe. Big quad exhaust pipes are sticking out the rear, we assume making a proper ruckus. 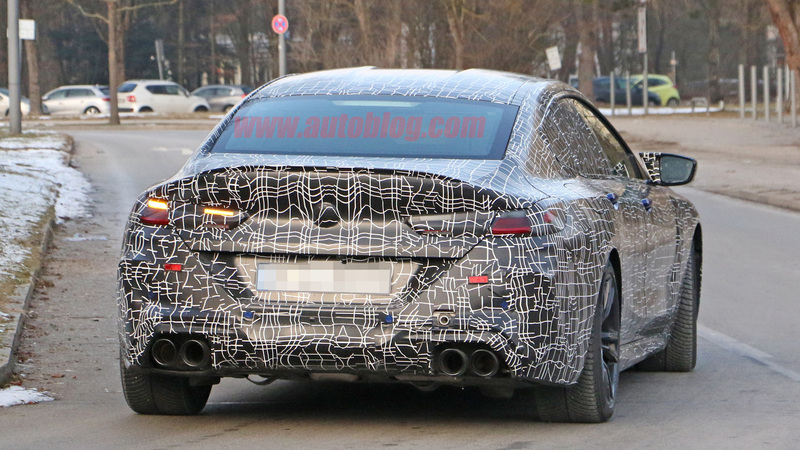 The noise is almost guaranteed to be coming from BMW's 4.4-liter twin-turbo V8 currently used in the new M5. 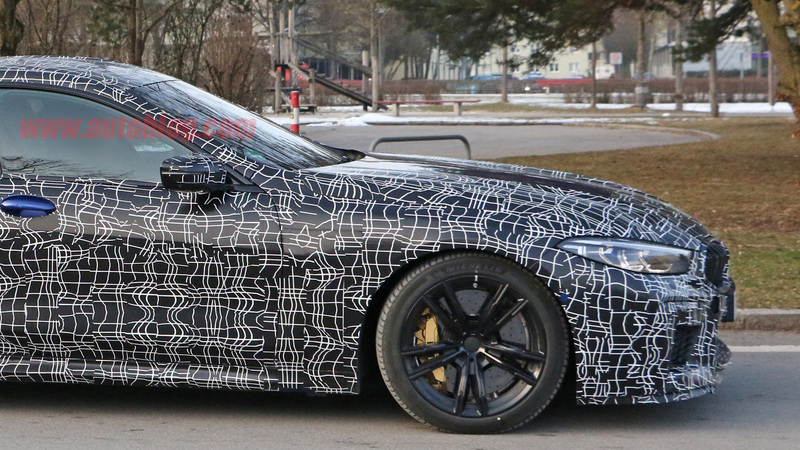 It makes 600 horsepower in that car, but rumors indicate that BMW could be turning up the wick for the M8. This car or derivations (Competition, etc.) 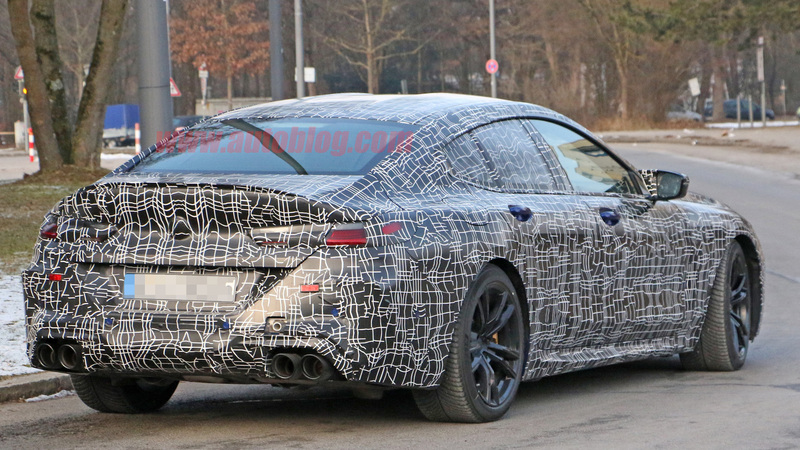 of the M8 Gran Coupe are likely to be the top M cars, so power closer to 630 horses shouldn't be out of the question. The one we're looking at here doesn't look too far from production-ready. 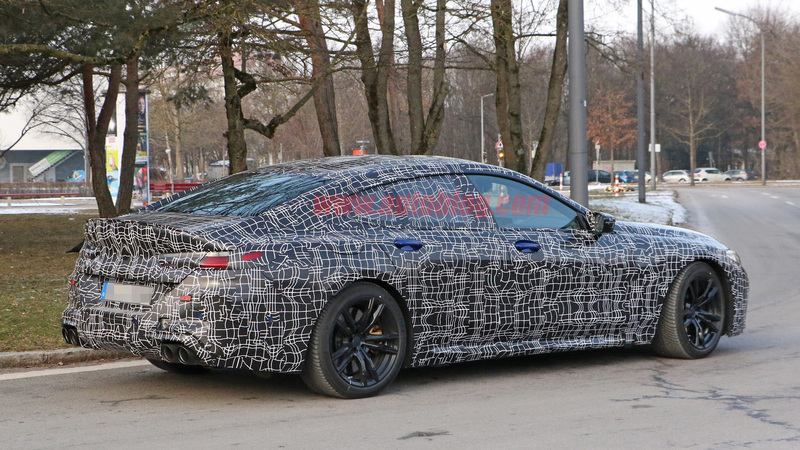 Still, the camouflage does a great job of hiding the swoopy, attractive curves we know the 8 Series has. BMW killed it with the concept version of this car at the Geneva Motor Show last year, and these shots hint that the final version won't be too far off that stunner. 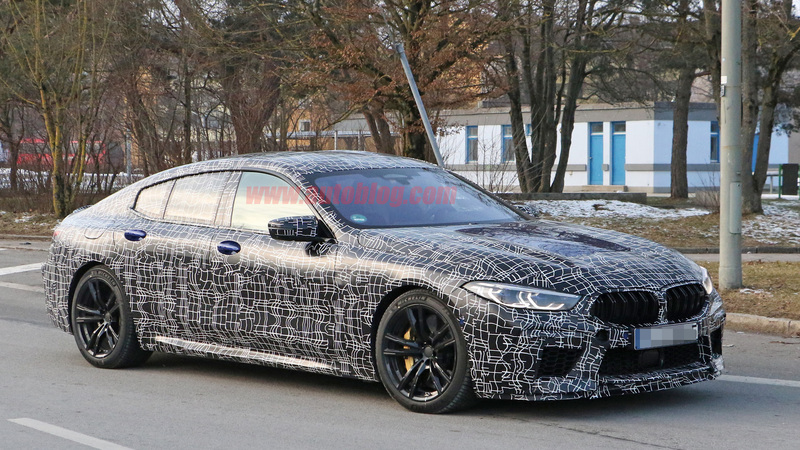 The Gran Coupe will likely be the last M8 to debut, after the Coupe and Convertible (which we've already seen in other spy photos) make hay this spring/summer. 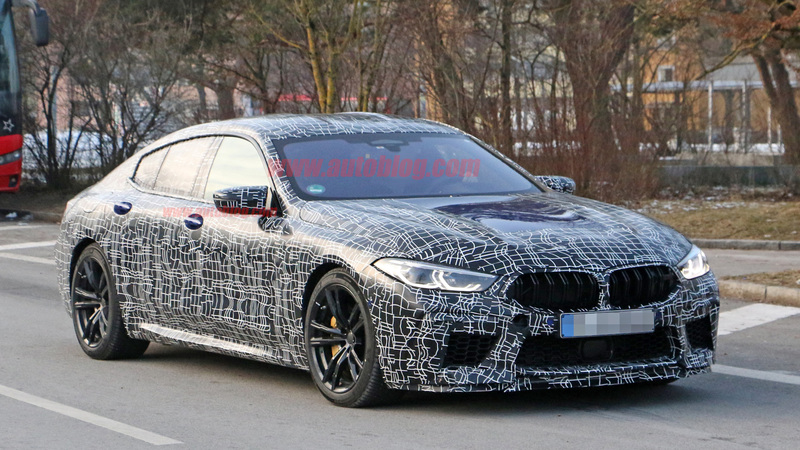 It'll either be the end of 2019 or early 2020 that BMW finally takes the wraps off its sedan. Yes, we said sedan, not coupe. 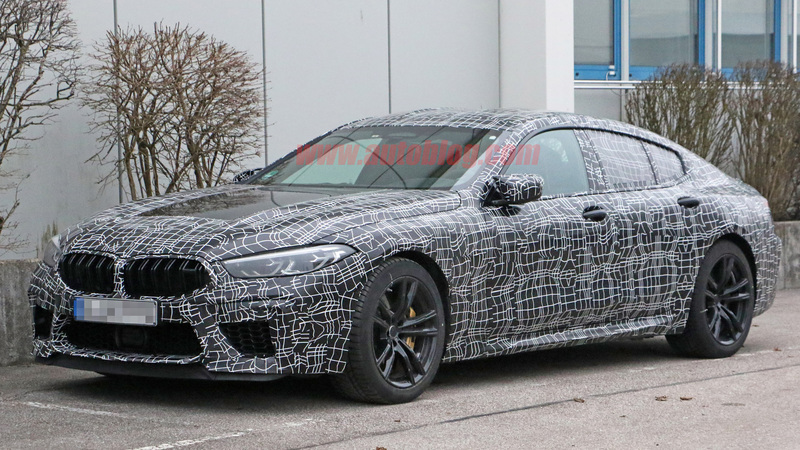 Competition for the high performance four-door BMW will come from the faster-spec Porsche Panamera and Mercedes-AMG GT 4-Door. When Audi unleashes its redesigned RS7 to the world, it'll have to fend with that, too. It's a good time to be around if you're a fan of 600-plus horsepower four doors.